About — Danielle Townsend Design Graphic Design and Brand Identity Design Dublin, Danielle Townsend Design is a Graphic Design and Visual Thinking agency based in Dublin. After graduating with a Bachelor Degree (Hons) in Graphic Design and Digital Media Danielle has worked in the industry since 2002 for many high profile clients as a Senior Designer & Studio Manager. Working in industry demonstrated the importance of design coupled with business and marketing acumen in order to accurately position a brand to gain awareness within the target market. To this end Danielle completed a further Degree in Marketing, Advertising, Sales Management and PR. Further to this Danielle has completed a Masters in Professional Design Practice being awarded a First Class Honours in 2009. This is in keeping with our philosophy of constant self- improvement through education and research to keep ahead of trends in an evolving industry like design. Danielle also lectures on a part time basis in Dublin Institute of Technology, Griffith College Dublin and Dublin Institute of Design where she is Head of Department for Graphic Design. She teaches all disciplines within graphic design from visual commutations, branding, packaging & typography through to editorial, desktop publishing and image making from Level 5 right up to level 9 (Masters level). Danielle has also written an approved QQI course for a new Level 7 Graphic Design degree programme and has just completed a Postgraduate Certificate in Teaching & Education (2015) receiving a First Class Honors. 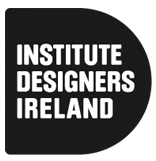 Most recently Danielle has been an assessor for ISTD Ireland (2016 - 2017), has become a Register Designer with IDI, and is Chair of the Education Committee of the Institute of Designers in Ireland (IDI) and is an Assessor for the Graduate IDI Awards. Currently Danielle is running a graphic design and visual thinking agency offering a full service from conceptualisation, to design and implementation. Take a look through some of my work and feel free to contact me to discuss your individual requirements. Also take a look at some of our projects accepted into the 100 Archive here.